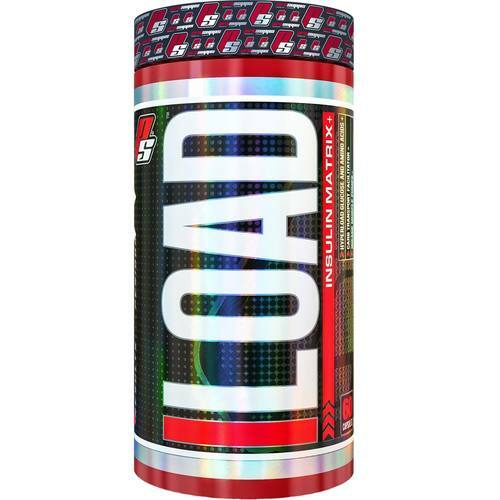 ProSupps designed I-Load Anabolic Maximizer with herbal and nutrient extracts for the best supplement. Advertências: NOT FOR USE BY INDIVIDUALS UNDER THE AGE OF 18 YEARS. DO NOT USE IF PREGNANT OR NURSING. KEEP OUT OF REACH OF CHILDREN. DO NOT CONSUME THIS PRODUCT IF YOU HAVE A MEDICAL CONDITION AND/OR ARE TAKING ANY PRESCRIPTION MEDICATION. DO NOT EXCEED RECOMMENDED SERVINGS. DO NOT USE THIS PRODUCT IF YOU ARE AT RISK OR ARE BEING TREATED FOR HIGH BLOOD PRESSURE, KIDNEY, THYROID OR PSYCHIATRIC DISEASE, ANXIETY, DEPRESSION, SEIZURE, ENLARGED PROSTATE OR STROKE. ALWAYS CONSULT A PHYSICIAN BEFORE BEGINNING ANY SUPPLEMENT OR TRAINING PROGRAM. Recomendações de uso: As a dietary supplement, take 1 capsule 30 to 45 minutes prior to exercise with 50 grams of carbohydrates. Advanced users may take 2 capsules with at least 100 grams of carbohydrates.